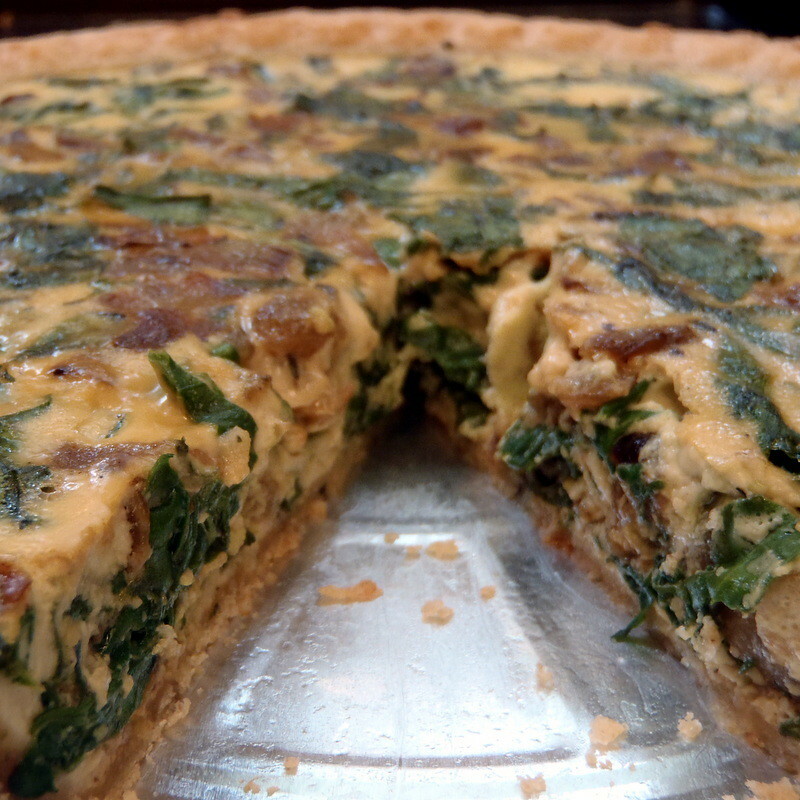 This quiche is good. How good? Good enough to rouse me out of a 2+ year hiatus to post about it. That's how good. 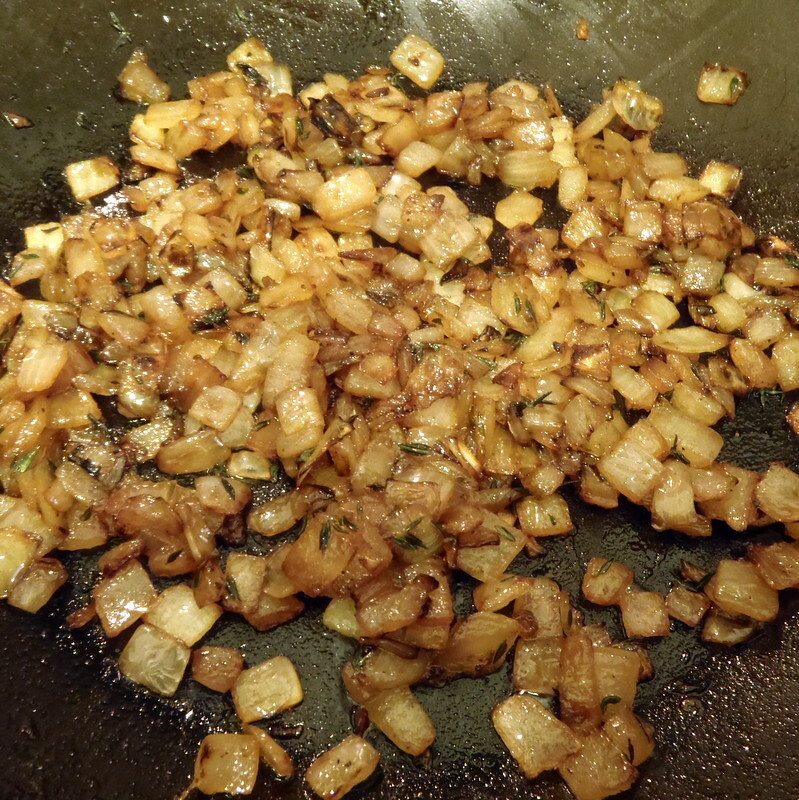 It's loosely based on this recipe from Smitten Kitchen, but I had yellow onions instead of leeks, so I decided to caramelize them first, using the dry pan method which has been working pretty well for me. So what makes this dish so good? Maybe it's the thyme, which I think is my new favorite herb. I remember the first time I tasted Stove Top stuffing and wondering what that new, wonderful flavor was. Growing up in a Taiwanese home, the only herbs I was used to tasting were scallion and cilantro. But after almost 20 years of wondering, I think I can now identify that herb as thyme! Now if only I could figure out what goes into the Long John Silver's batter. Another new fresh ingredient I've discovered is nutmeg. I used to just use the stuff that came out of a spice bottle and never really understood what the big deal was. 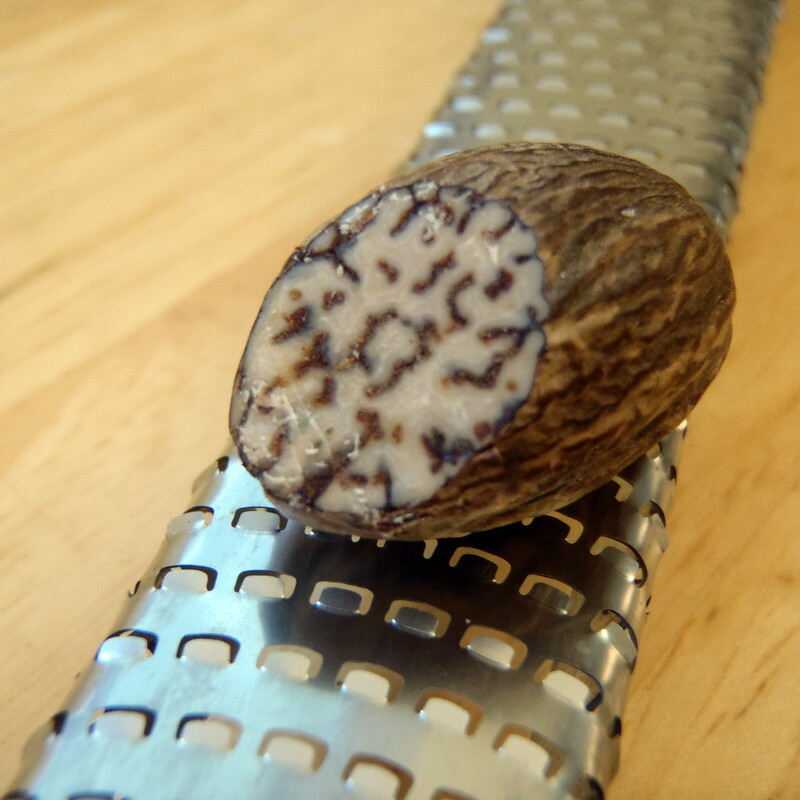 Then one day I saw some whole nutmeg at the bulk spice rack at Harvest and decided to pick up a couple since I had a Microplane I could use to shave it with. Well let me tell you, fresh nutmeg is a completely different species from the dried stuff! I am definitely a fresh nutmeg convert now. Just remember, a little goes a long way, so don't over do it. 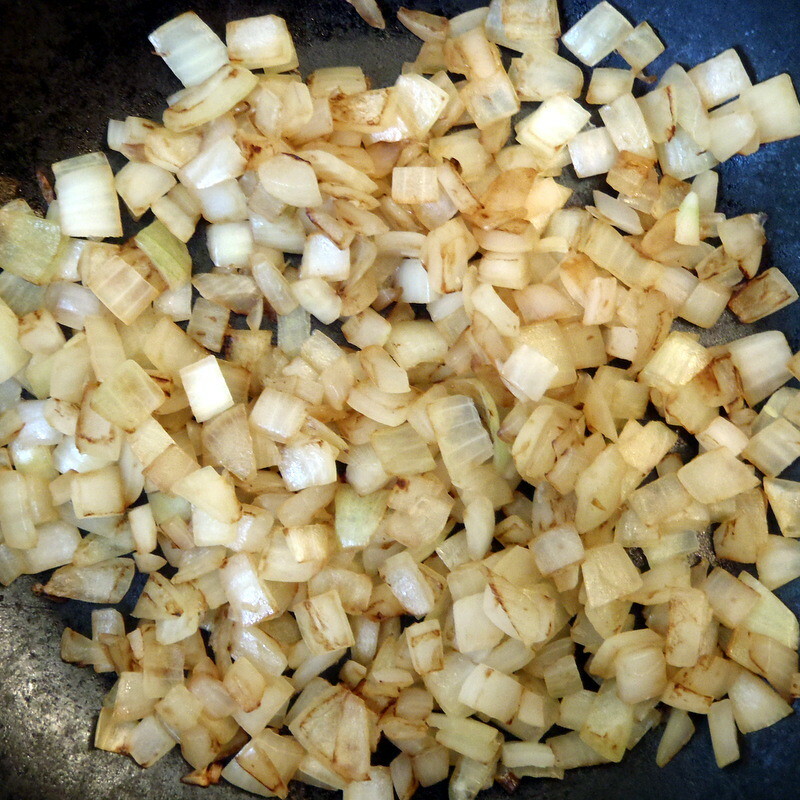 Heat a large non-stick pan to medium high and add chopped onions. Cook until browned but not burnt, about 6 minutes. Add a tablespoon of butter, the fresh thyme, and sprinkle with salt and pepper. Lower the heat to medium and continue to stir while cooking. Add the remaining tablespoon of butter when the onions become dry and start sticking to the pan, about another 5 minutes. 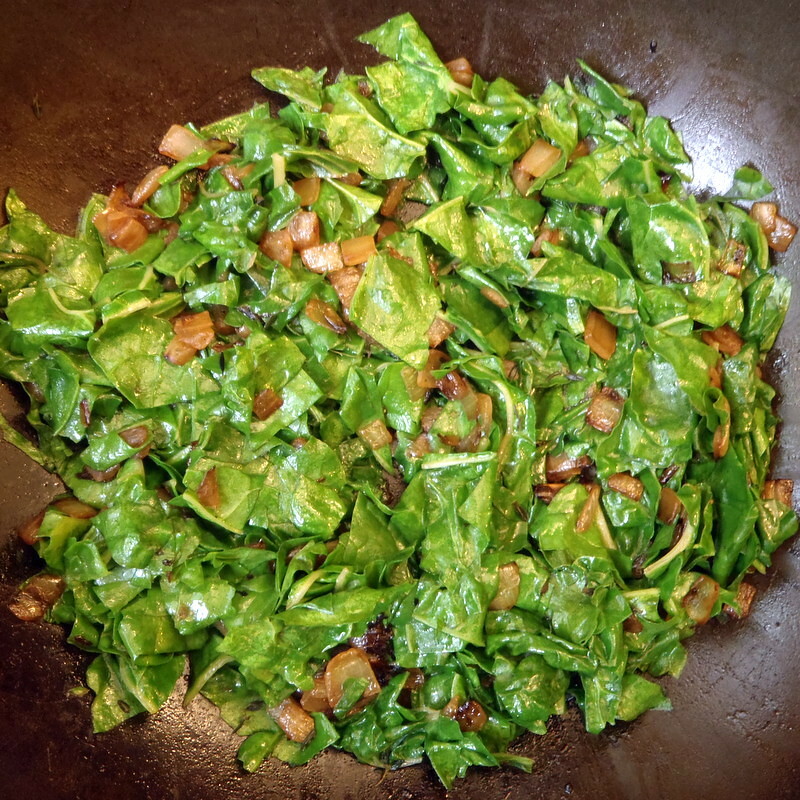 Once the onions are evenly caramelized, about another 5 minutes, add the chard and sauté until wilted, about 2 minutes. Remove from heat and cool. Preheat to 425°F. In a medium bowl, whisk the half and half and next 4 ingredients. Mix in cooled onion and chard mixture. 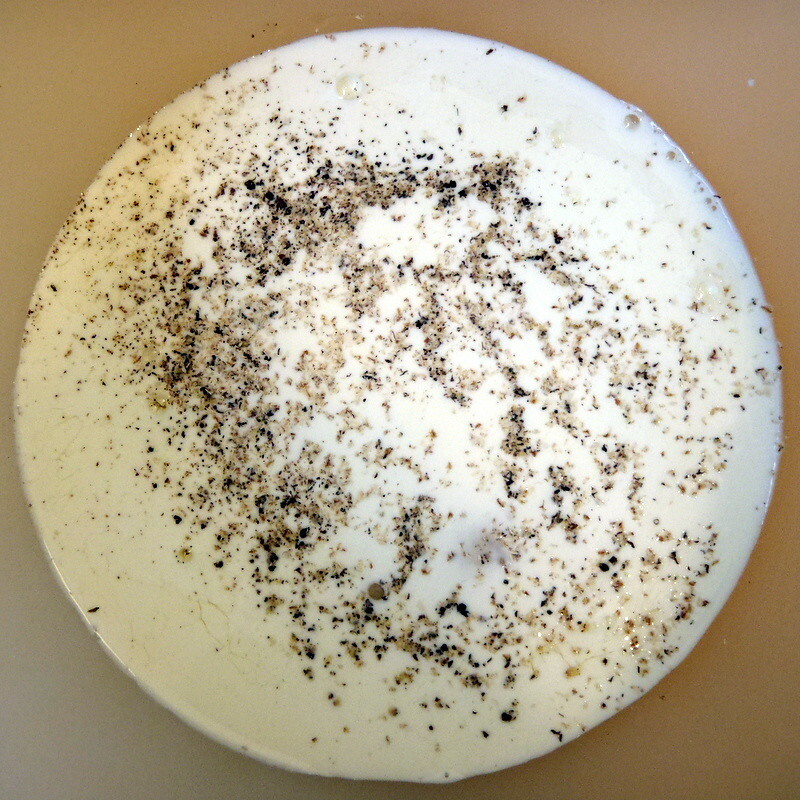 Pour filling into crust. 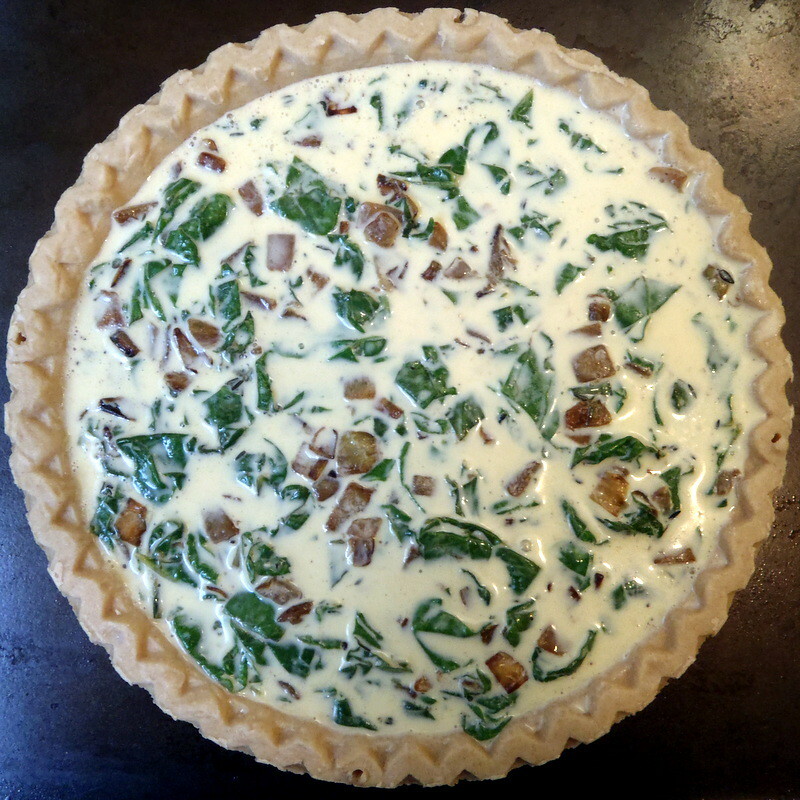 Place pie on a baking sheet to make it easier to transport and in case the filling overflows in the oven. 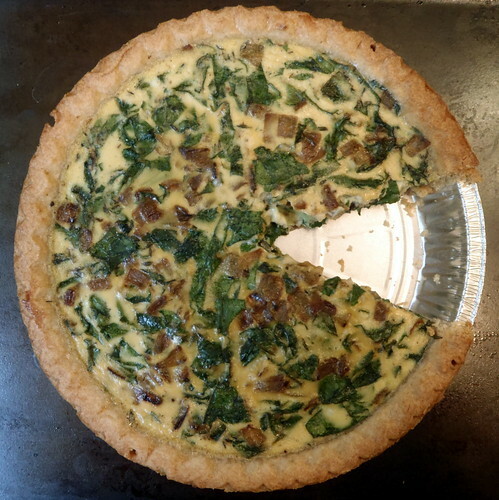 Bake quiche for 15 minutes. Reduce heat to 350°F and bake until filling is puffed and just set in center, about 10-12 minutes longer. Transfer to rack and cool 10 minutes. Serve hot or at room temperature. 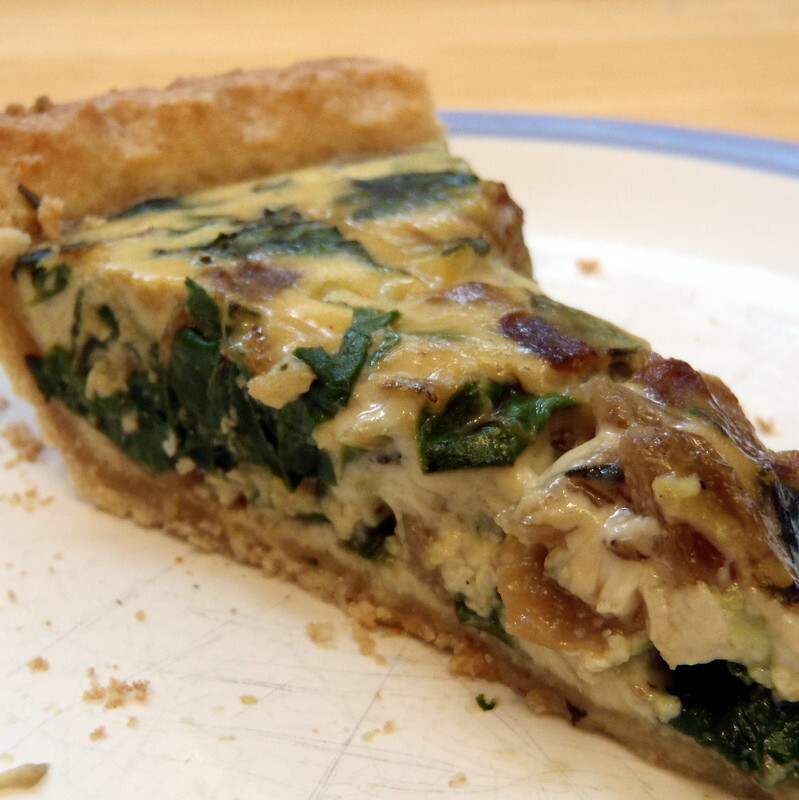 You'll probably notice that there was no cheese in this quiche recipe. Believe me, it doesn't need it. But if you really want, you could probably throw in a handful of shredded cheddar or Gruyère.